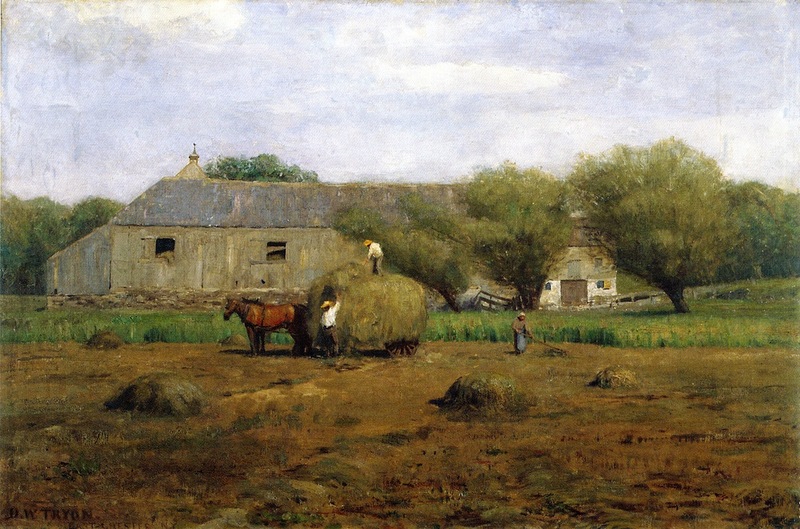 Haymaking, undated, oil on canvas by American artist Dwight William Tryon (1849–1925). Image courtesy of The Athenaeum. Soon after North of Boston appeared in England in May 1914, Pound published a favorable review of it, yet (as he did in his review of Frost’s first book) he trashed American editors for “refusing” to publish Frost and he even mocked the editor who had turned down “The Death of the Hired Man.” Frost wrote to friends that Pound’s insistence on adding him to “his party of American refugees in London” didn’t resemble the truth of the situation; many poems had in fact appeared first in U.S. magazines and Frost was currently shopping his first two books to receptive American publishers. As he quipped to Cox, “Another such review as the one in Poetry and I shan’t be admitted at Ellis Island.” Fortunately for both Frost and readers, he returned to New York without incident in February 1915, only three days after Henry Holt & Company published the American edition of North of Boston. It sold 20,000 copies within a year—phenomenal for a book of poetry—and two months later, in April 1915, Holt also published A Boy’s Will. Good story, economically told. 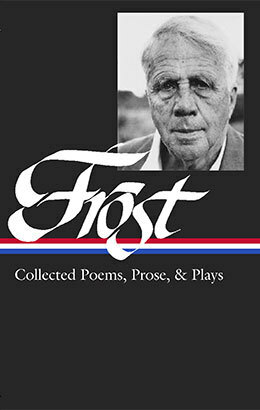 Frost accomplishes more in fewer words than other story writers. Maybe more folks should work at poetry.